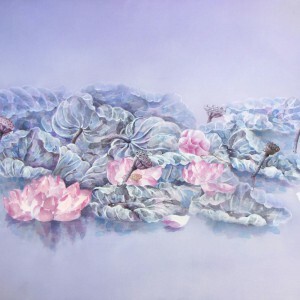 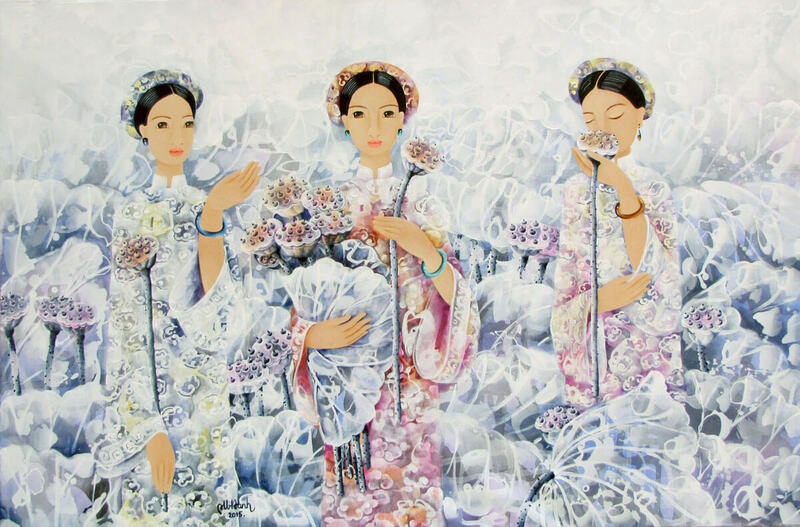 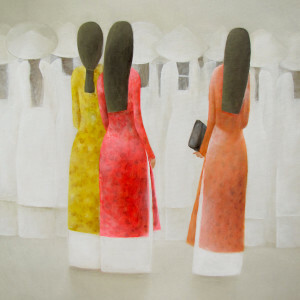 Asian artist Phan Linh Bao Hanh aspires to embody the Yin energy associated with fluidity and spontaneity of the female form in this canvas with three ladies holding lotus flowers. 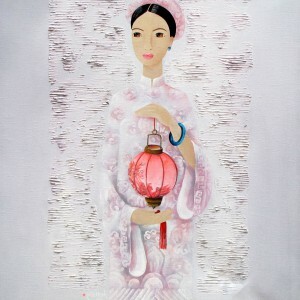 The piece is noticeable for intricate ornaments and gentle palette. 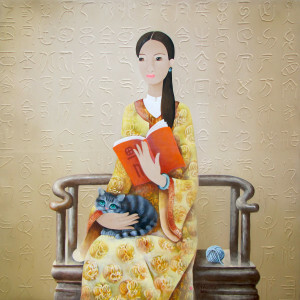 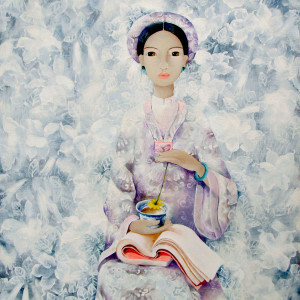 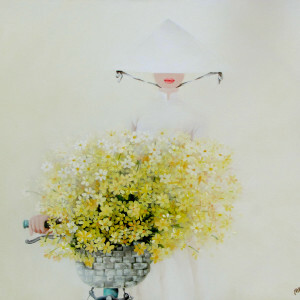 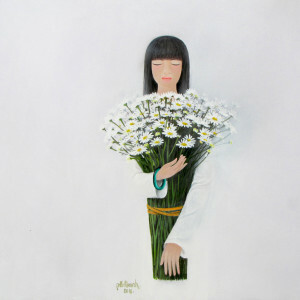 A fine example of contemporary figurative art in Asia.